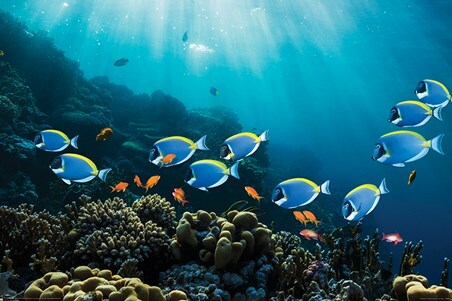 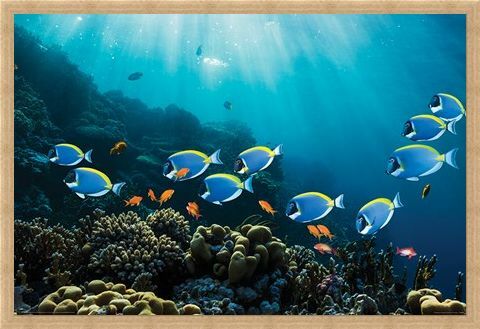 Gliding through the warm tropical waters and stunning coral reef, this vibrant family of Surgeonfish and Goldfish fill this poster with colour and movement. 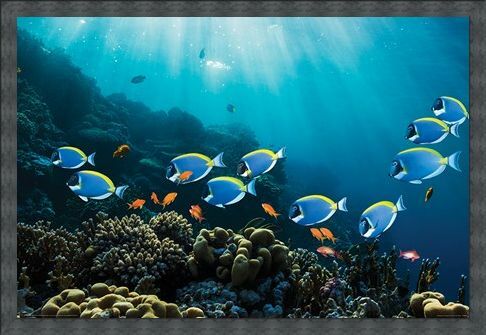 With the sunlight streaming through the glittering waters, it lights up the textures of the different varieties of coral on the seabed. With their name deriving from their distinctive sharp spines which resemble a surgeons scalpel, the Surgeonfish are happily drifting amongst the popular aquarium favourite, the Goldfish. The vivid array of colours illuminate this poster and make it a perfect representation of nature's beauty. 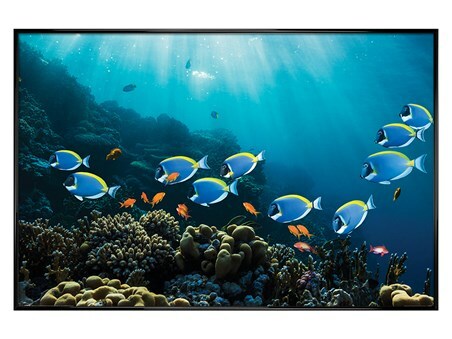 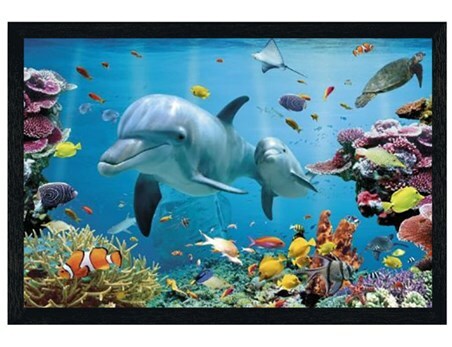 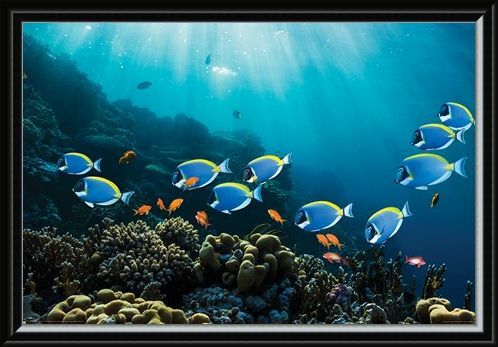 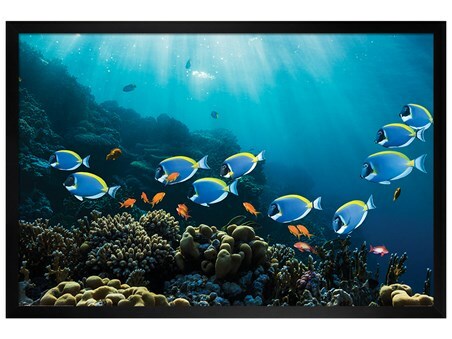 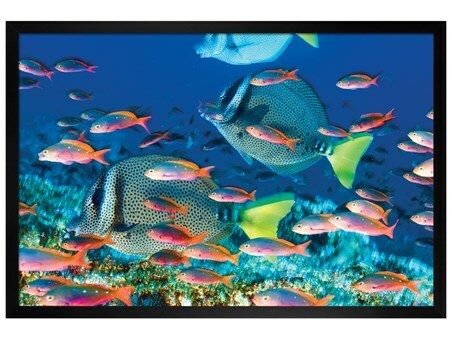 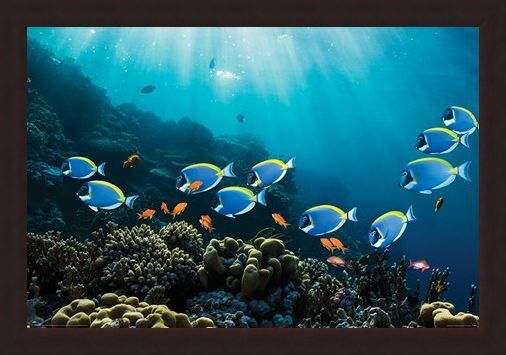 High quality, framed Tropical Waters, Surgeonfish & Goldies poster with a bespoke frame by our custom framing service.